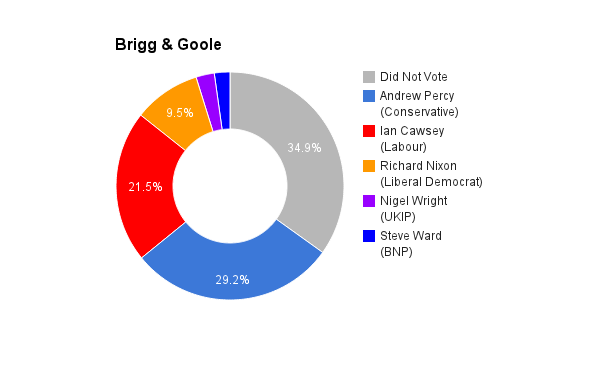 Brigg & Goole is located in Yorkshire and Lincolnshire towards the north east of England. The seat was created in 1997 and has been a bellwether constituency ever since. The current member of parliament is the Conservative party’s Andrew Percy who has served since 2010.